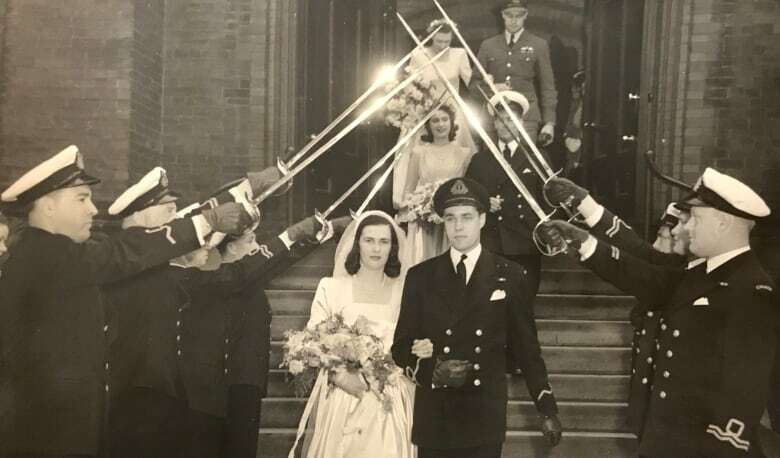 In March, George and Shirley Brickenden became one of the very few couples in Canada to have chosen — and to have been allowed — to die together with medical assistance. And they're the first such couple to speak publicly about it. Through nearly 73 years of marriage, George and Shirley Brickenden did nearly everything together. On March 27, they died together at their Toronto retirement home, holding hands, surrounded by family. 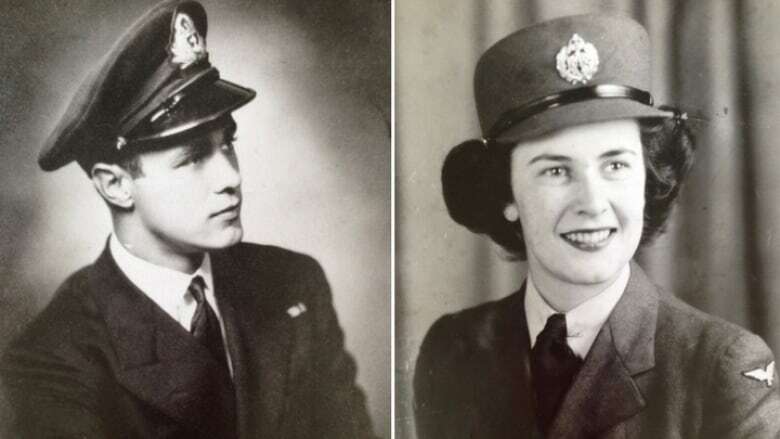 George, 95, and Shirley, 94, became one of the very few couples in Canada to have chosen — and to have been allowed — to die together with medical assistance. And they're the first such couple to speak publicly about it. 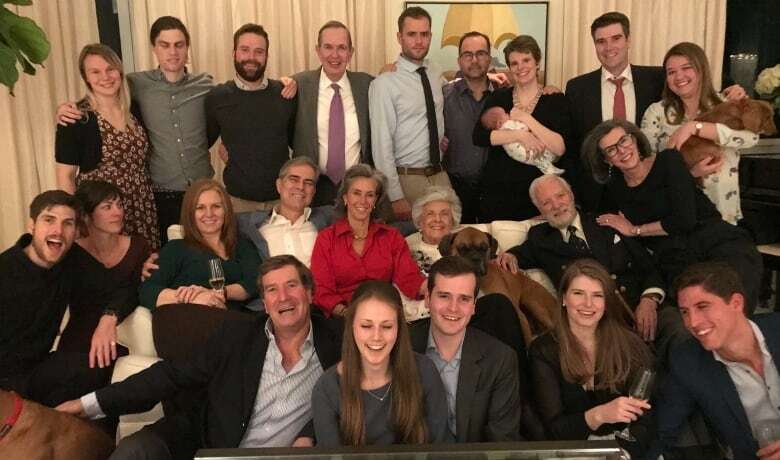 The Brickendens describe themselves as a mostly private family, but George, Shirley and their family felt it was important to open the conversation about doctor-assisted death, speaking with the Globe and Mail about the process. Three of the Brickendens' four children — Angela, 54, Saxe, 60 and Pamela, 71 — were in the room as their parents said their final goodbyes. They sat down with The Current's Anna Maria Tremonti a few weeks later. The three described their parents' marriage as though it were a decades-long fairy tale. "It was magic. It was the quintessential love story," said Saxe. 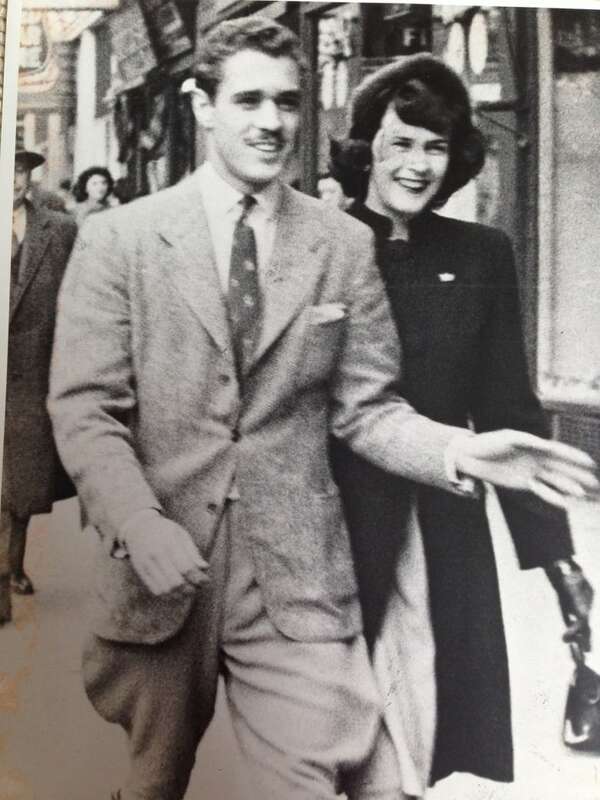 They met in Halifax in 1944, around the Christmas season. George, then a sub-lieutenant in the navy, was visiting a few days. George's mother intended to introduce his son and Shirley for some time. Shirley, who was in the air force, protested, saying she was engaged to another man. "But then Grandma pulled his picture out" and showed it to her, recalled Saxe. "She went, 'Well, maybe. OK.'"
The two finally met. Six days later, George proposed. Shirley said yes. "That was in itself astonishing. I can't believe every one of those days translated into over a decade of happy marriage," said Saxe. "They were awesome." Their love for each other shone through as their health declined in their advanced age. Shirley suffered from rheumatoid and osteoarthritis for about 50 years. "Her hands were, when it flared up, like purple claws," said Angela. She would be unable to do up buttons or zippers, or eat properly with a knife and fork. George would help her button up her shirts or complete other tasks when she was unable to help herself. They both had significant heart problems that became worse in their later years. George had a bout of severe influenza that they thought was a heart attack. Shirley once spent weeks in rehab after a broken hip. 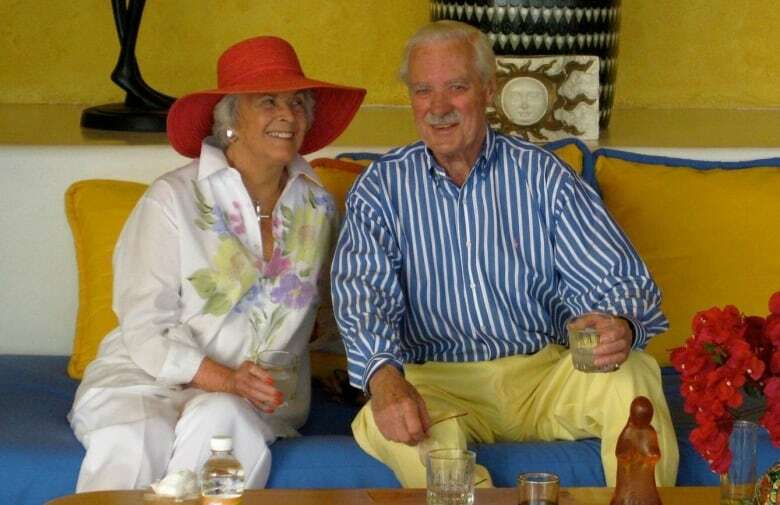 George and Shirley had talked about assisted death as an option for nearly 40 years. They became more resolute after witnessing another elderly relative suffer in the last years of her life. Saxe said he never believed that doctor-assisted death would become a legal option when they first brought it up. In 2016, however, medically assisted death became legal. Since then, roughly 2,500 people have chosen it. As their health declined in the last 18 months, the Brickendens began to look into it more seriously. After consultations with several doctors, Shirley was approved. But George was in relatively better condition, and was initially turned down. A patient's death has to be reasonably foreseeable to qualify for a doctor-assisted death. At the time his wife was approved, George wasn't eligible. It left the two in an administrative limbo. Shirley wouldn't go through with the procedure if George wasn't able to go with her. "She said: 'I cannot die, I cannot leave George,'" said Angela. "I swear that they were hanging on for each other." They were so worried that they contemplated ways to end their lives themselves, the pair's children said. "We're going. We're going," Pamela recalled them saying. "So, do we do carbon monoxide? Do we … do we slit our wrists? How do you do it the right way?" Soon after, however, George's health also declined. With a weakening heart, compounded by other mounting issues, he was approved for a medically assisted death. The Brickendens would get to "fly away," as they called it, together. In the weeks ahead of the agreed date George and Shirley "were relieved," Saxe said. "There was a lightness that hasn't been there in a year and a half." George, lovingly described as a joker, had fun with the morbid subject matter. "He said, 'All this funeral planning is killing me,'" said Angela. During one meeting with their doctors, George got up from his seat and lay down flat on the floor. "My mum said, 'What are you doing?' And he said, 'Practicing!" recalled Saxe. Even after it was over, the family were confronted with some unusual conversations. When they called the funeral home to pick up the bodies, said Saxe, they had to explain why there were two of them. "That sounds like a homicide or something" in other situations, he said. The funeral home caretakers were in tears when they arrived at the scene in the retirement home, he said. They had never seen anything quite like this before. "You know, they could barely get their hands apart," he said of the bodies. The law in Canada has changed, but the fight around the issue is far from over. Several people have launched legal challenges around the requirement that death must be "reasonably foreseeable" to be eligible, including a B.C. woman suffering from Parkinson's disease. They want the law to be broadened to allow more people to choose an assisted death. But there are doctors and health-care facilities, particularly faith-based institutions, that have struggled with how to serve patients pursuing an option they object to on religious or moral grounds. There's also a divide among people living with disabilities, with some arguing that the medically assisted death law devalues their lives. Still, the reception to the Brickenden's story has been "unbelievably positive," said Saxe. Some friends and acquaintances asked them about their experience with the process. Others confided that they wished they knew more about it, having seen their own parents succumb to illnesses. They understand that the path their parents chose may not be the right one for others in similar situations. But they're grateful that the choice to take it is more accessible than it has been in years past. Euthanasia dispute in Belgium: When do doctors cross a line? "What Mum and Dad have done by going public with this is they've pulled the subject out of the shadows and made it topical — a dinner-table conversation," said Angela. "Hopefully that'll help others." On the last week of March, extended family members flew in from other parts of Canada, Norway, Switzerland, Scotland and Vietnam. They had dinner together, and shared fond memories of the past. The evening of March 27, Angela, Pamela and Saxe were in the room with their parents and the doctors. 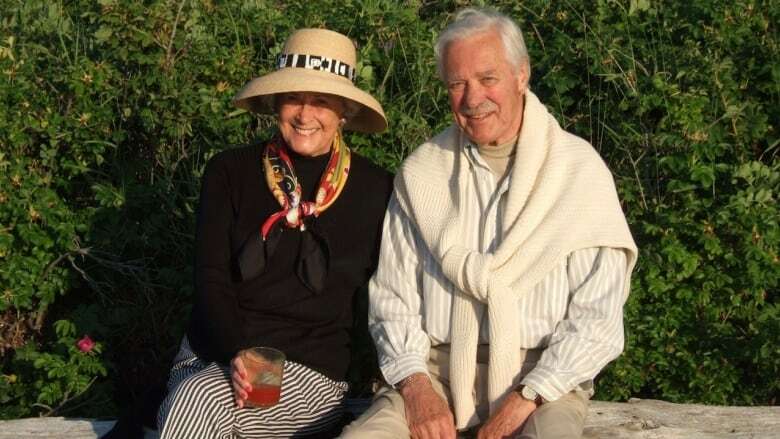 George and Shirley had champagne and lobster, and toasted to their life. Dean Andrew Asbill, from St. James Cathedral in Toronto, administered their final rites. Angela rubbed their mother's feet, and Pamela did the same with their father's. "We were standing at the foot of the bed, and there was no fear, there was no hesitation. They embraced this process, and they looked at each other. "The last thing Dad said was, 'I love you all.'" Written by Jonathan Ore. This segment was produced by Pacinthe Mattar and Geoff Turner. Should Catholic hospitals have to provide access to medically assisted dying? Medically assisted dying: What happens when religious and individual rights conflict?